Diamond pattern: Handmade crocheted accessories always look feminine and elegant. This beautiful crochet open-worked scarf,with a lovely diamond pattern can make your look romantic and affectionate. The item features a unique diamond shaped pattern. You can wear this accessory as a scarf down loose or doubled up for warmth. Lightweight, this infinity scarf can be worn year round. If you`re looking for something 100% classical - draw your attention to this item...it will definitely draw attention to you!! 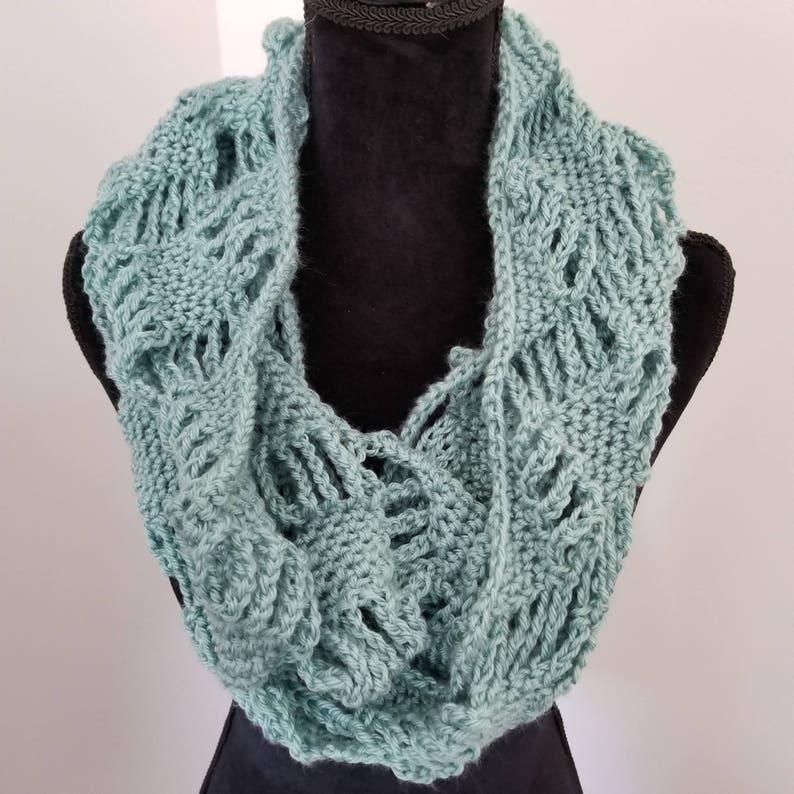 This scarf is hand crocheted using an acrylic yarn that is so soft to the touch in a eye-catching seafoam color. The scarf can be machine washed and dried, according to yarn label, but I always prefer to hand wash and lay flat to dry. Scarf measures 69" in circumference and 8" in width.